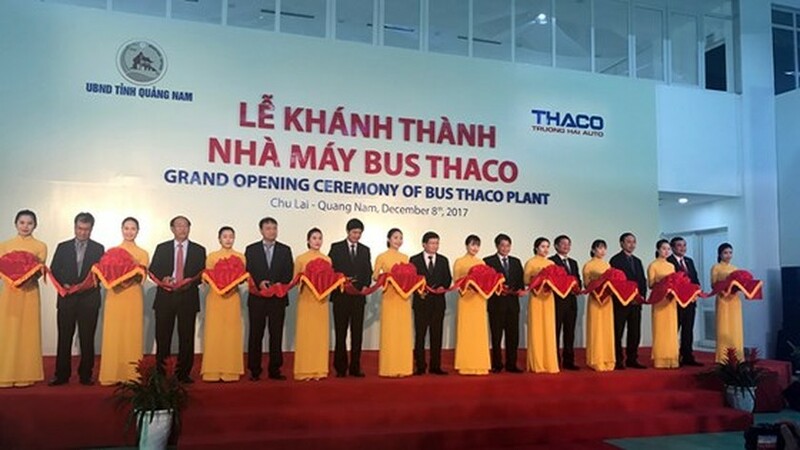 Truong Hai Automobile Joint Stock Company (Thaco) hosted the opening ceremony of Bus Thaco Plant, which is considered to be the largest one in the Southeast Asian region so far, in the central province of Quang Nam this morning. 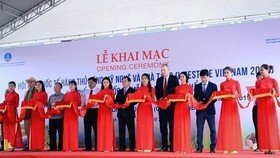 The ceremony was attended by Deputy Prime Minister Trinh Dinh Dung and chairman of the National Assembly’s Finance and Budget Committee Nguyen Duc Hai. 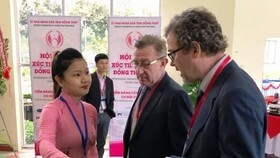 Work started in September last year with the total investment capital of VND7 trillion (US$308.24 million) and designed capacity of 20,000 products a year comprising 8,000 buses and 12,000 minibuses. 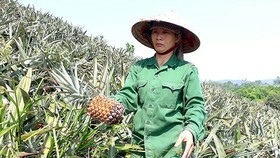 The plant has been built over 17 hectares, equipped with modern wastewater treatment system having the capacity of 20 cubic meters an hour, semi-automatic manufacturing lines and automatic conveyor system. 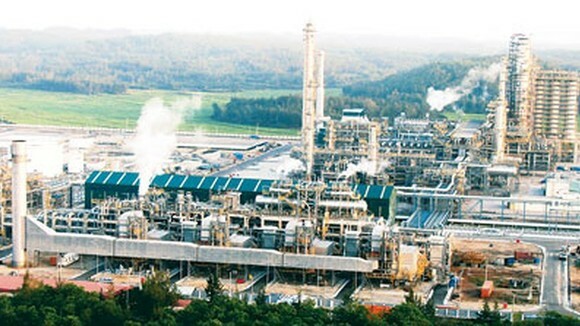 Notably powder coating line, comprising 10 tanks operating automatically, is wide enough to entirely dip a 13.7 meter long bus body shell. 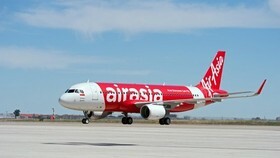 The line is the sole of its type in Southeast Asia and among 22 ones in the world so far. 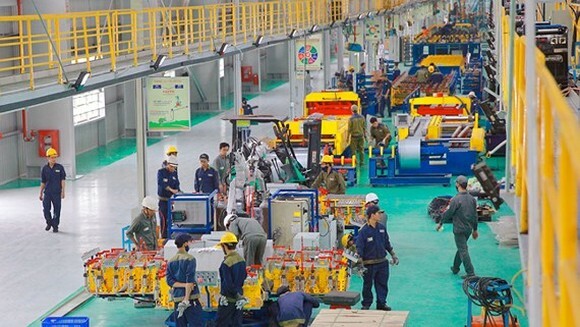 In addition, the plant has an automatic assembly line and a 2.4 kilometer long bus testing road fully simulating all types of terrains. 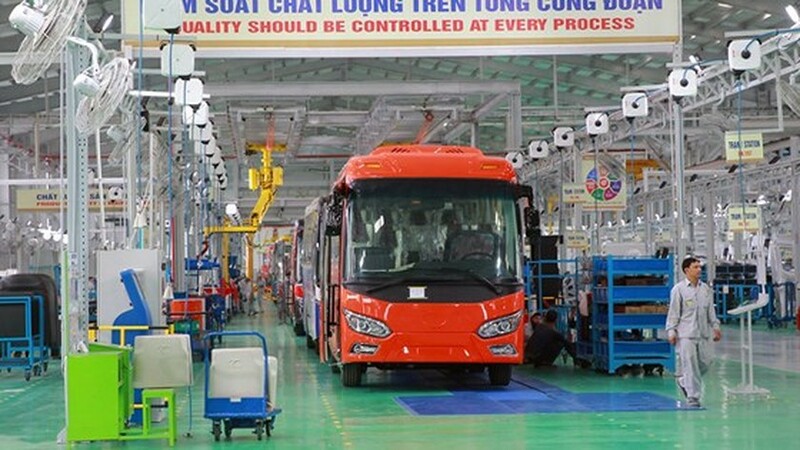 Chairman of Thaco Tran Ba Duong said that the company has invested in a research and development center with modern equipment and software, good engineers and experienced experts to study and design buses from medium to high class lines suitable with Vietnamese traffic conditions. 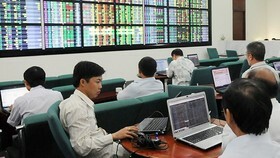 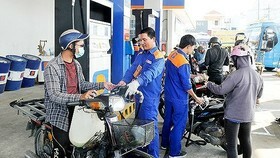 Localization rate tops 60 percent. 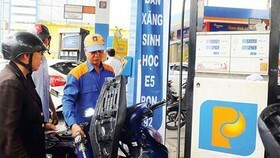 Deputy Prime Minister Trinh Dinh Dung recorded the great contribution by Chu Lai-Truong Hai auto complex to achievements of Quang Nam province Party Committee, authorities and residents. 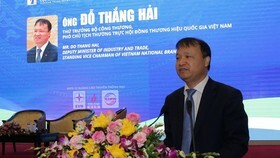 At the ceremony, Thaco signed initial export agreements to Thailand, Taiwan (China), the Philippines and Cambodia with the total number of 1,150 buses.